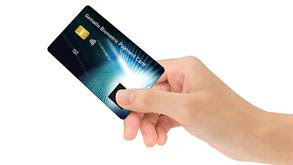 Gemalto has been selected by Bank of Cyprus to supply the world's first EMV biometric dual interface payment card for both chip and contactless payments. Using fingerprint recognition instead of a PIN code to authenticate the cardholder, the card is compatible with existing payment terminals already installed in the country. When customers place their fingerprint on the sensor, a comparison is performed between the scanned fingerprint and the reference biometric data securely stored in the card.